Basket contains heart shaped chocolate box with Britannia Choconut Cookies 1 pkt Britannia Good Day Pista 1 pkt Parle Krack Jack 50 gms Pea Nut Balls 1 pkt Brit.NiceTime Coconut Biscuit 1 pkt Cream Crackers biscuit 130 gms Chakra gold Tea 100 gms Cashew Whole 100 gms Roasted Pista 50 gms Cherry 100 gms Kellogs-Honey Loops 125 gms Dabur Honey 50 gms Kerk Deluxe crackers 200gms. Kerk Cheese crackers 200gms. Deluxe Cheese sandwitch crackers 250gms. Danish Fiesta Cookies 400gms. Tin Bounty 57gms. 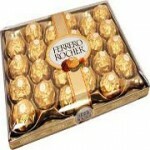 Ferrero 62.5gms. Pringle chips 140gms. 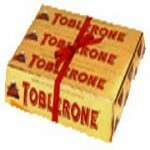 Chocolate coated biscuits chocolate delight 150gms. Britannia rusk 300gms. Jackers. 150 Cheese crackers from Kerk 200gms. Cheese Kraft 200gms. 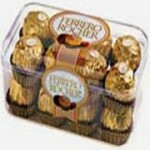 Cadburys Silk 145Gms. Cashew nuts 200gms. 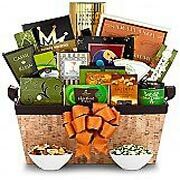 Gift container shown is indicative and may vary.